Canterbury integrates cutting-edge fabric technologies in all of its technical sports apparel, and the Pro Thermal Layer Fleece is a great example. Made from 100% polyester, this lightweight yet warm fleece integrates water-resistant and quick-drying Vaposhield fabric technology so you’ll stay warmer, drier, and more comfortable for longer. 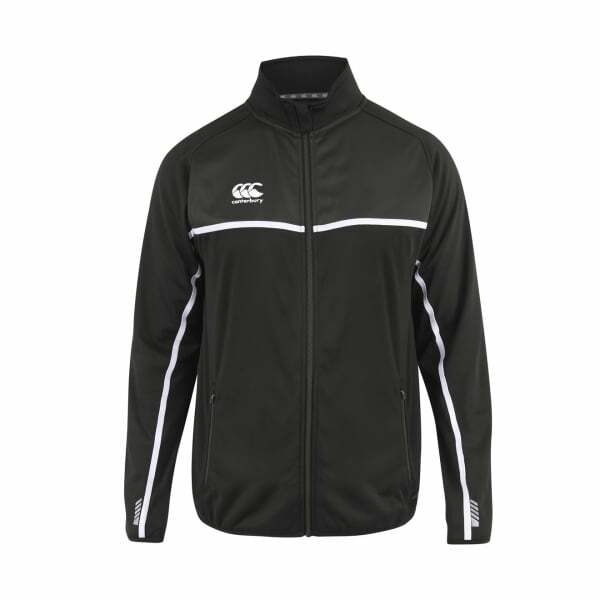 No matter where you’re training, you’ll exercise in style in this breathable fleece which comes with a full zip with tonal detail and reflective print detail on the back. In line with Canterbury’s commitment to quality and functionality, the fleece also comes with a media port built into the left-hand pocket for your convenience, so you can easily integrate your choice of technology into your workout.